I thought this would be a funny picture to caption but I struggled with finding just the right words. I thought of “We’re out of cyan again” and “No! I said print the stats!” I did eventually decide on one that you can see here, but I’m sure this picture has potential for many funny captions. 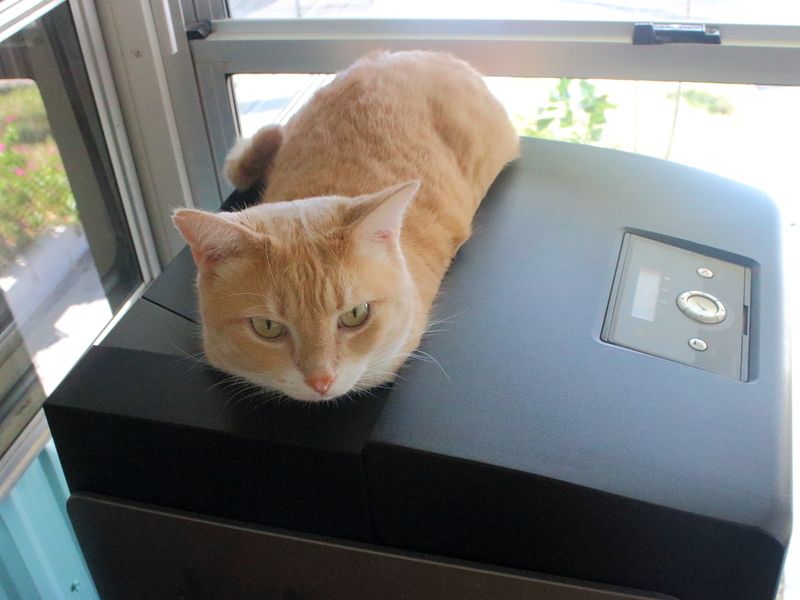 This entry was posted in Uncategorized and tagged caption, cat, cute, printer on November 15, 2015 by Charles Huss. Cute photo 🙂 Sorry I can’t think of any captions at the moment. That’s ok. Thanks for the comment. Awwww – what a lovely boy! I dunno… looks like you may need some black, along with cyan! You’re right. Cat printing is expensive.